The SSC Stenographer Grade C & D 2018 examination was conducted from February 5 to 8, 2019 at 208 venues in 107 cities across the country. 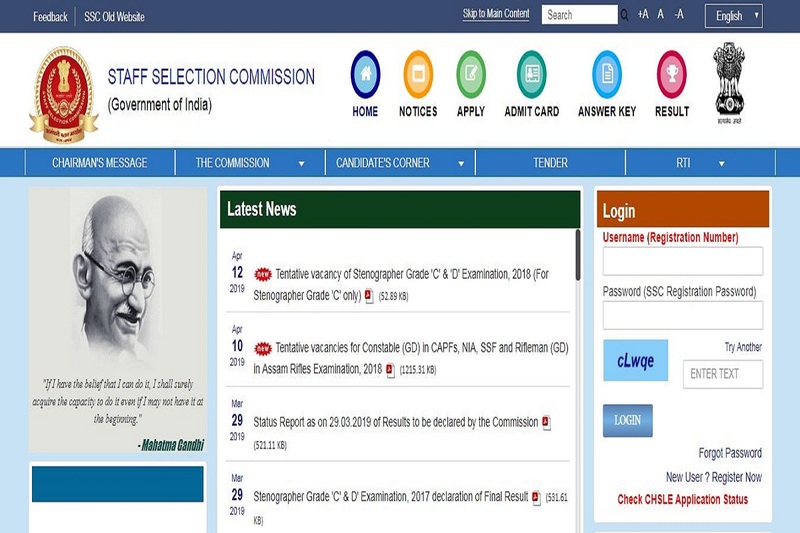 As against 4,36,910 registered candidates, 1,85,357 actually appeared in the examination. • A PDF will open. • Check the results and download for future reference. The candidates who qualify the written examination will then appear for the Skill Test and Document Verification conducted by the Commission. The final selection of the candidates will be done on the basis of the Written examination and Skill Test.